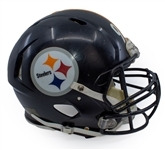 Presented is a Pittsburgh Steelers helmet worn in a multiple games during the 2012 NFL regular season and playoffs. The helmet shows incredible game use deep scratches throughout. The chinstrap and internal padding show apparent game use as well. 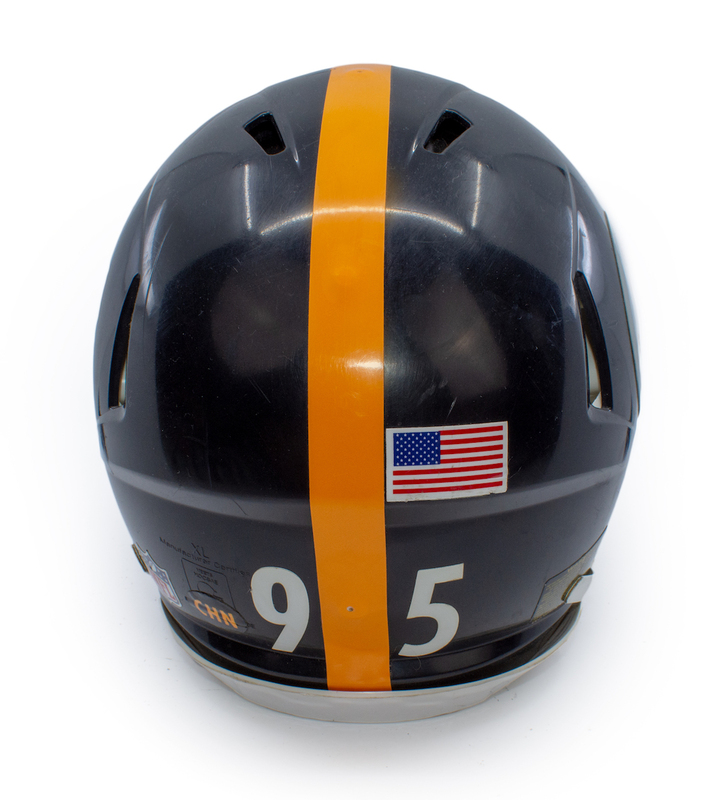 The helmet displays "95" decals on both the front and rear along with a "CHN" decal on the rear adjacent to the NFL logo shield. 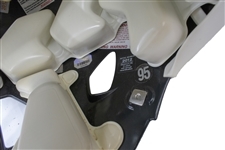 A Fanatics hologram is affixed to the inside of the helmet with an authentication number that reads "429483". 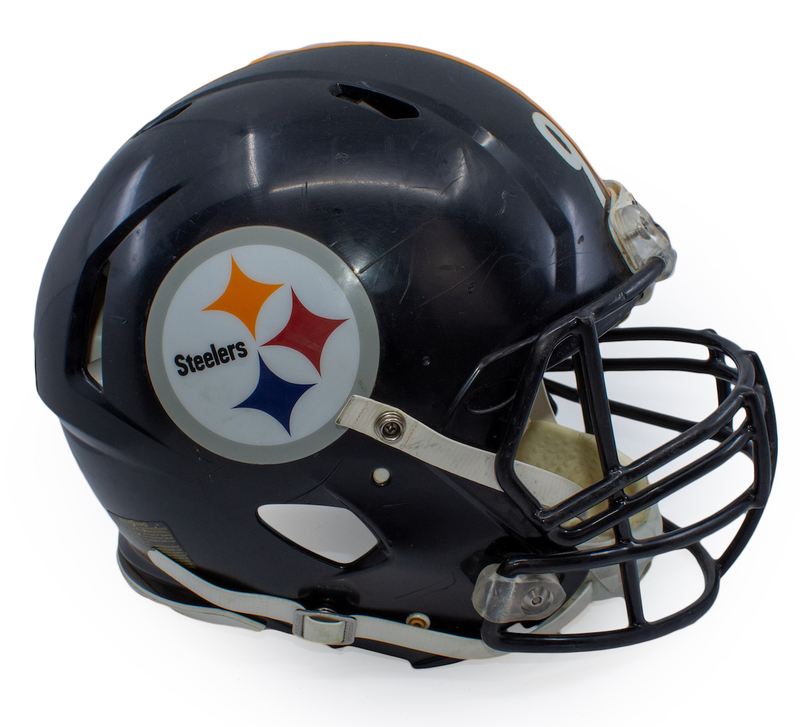 According to the authentication, the helmet was worn during the regular season versus the Kansas City Chiefs and during the playoffs against the Baltimore Ravens.